Welcome to the final 2018 issue of our newsletter. If you’re planning to visit Prague during next spring or summer, perhaps you’ll be interested in some of the events we have hand-picked for you below. If heading to Prague soon, be sure to enjoy its holiday cheer, including the ever-popular Christmas markets. Other not-to-be-missed events include the spectacular František Kupka exhibition at the Wallenstein Riding Hall, tracing the pioneering artist’s progress from symbolism into abstraction, and the exhibition showcasing selected paintings from Alphonse Mucha’s monumental Slav Epic series, at the Municipal House. On behalf of the entire Prague City Tourism team, we wish you a joyful holiday season and a healthy and happy 2019. 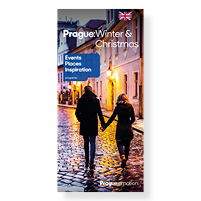 Is Prague in your wintertime travel plans? The new edition of our quarterly will not only provide tips on where to find the finest Christmas magic but also take you on a walk in search of Prague’s Modernist churches. In addition, the issue provides a selection of cultural events taking place between the end of November and beginning of March. Pick up a copy for free in one of our information centres, order it from our eshop, or download it here. 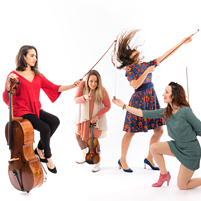 The Prague Spring International Music Festival has just published its 2019 programme. The festival will open with a concert of the Bamberger Symphoniker led by chief conductor Jakub Hrůša. Among other featured performers are the Orchestra dell’Accademia Nazionale di Santa Cecilia from Rome, the Orpheus Chamber Orchestra from New York, and the brilliant pianist Jan Lisiecki. Berlioz’s Te Deum will be played at the festival for the first time in forty years, this time by the Czech Radio Symphony Orchestra. Tickets go on sale on 12 December. More. 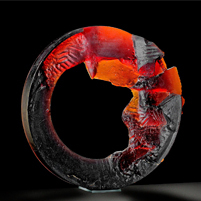 We invite you to a brand-new exhibition providing a survey of the best, most famous, and most iconic Czech studio glass sculpture, illustrating the genre’s development in the second half of the 20th century. The exhibit will feature the works of renowned Czech artists such as Josef Kaplický, Stanislav Libenský and Jaroslava Brychtová, René Roubíček, Jiří Harcuba, and Václav Cigler. In the second part of the year, the exhibition will be expanded by adding several large pieces and will gradually transform into a section of the Museum’s permanent exhibition. More. 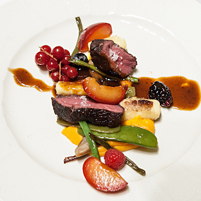 Come test the culinary prowess of Prague (and Bohemian) chefs and let your taste buds rejoice! The imposing Vyšehrad fortress above the Vltava will be once again permeated with the aromas and flavours of delicious food, as the festival is held in its gardens. The three-day feast for the senses includes concerts, workshops, and cooking shows. More. The open-air Metronome festival has been the most notable newcomer to Prague’s thriving music scene for the past couple of years, and has established itself as the event of the summer. The third edition will be headlined by the German icons Kraftwerk with their 3-D show and by Morcheeba (who just released a new album). More artists are to be added to the roster, but the tickets are already on sale. More. The 25th annual marathon will once again commence in Old Town Square to the strains of The Moldau, by Bedřich Smetana. The stunningly beautiful, mostly riverside course crosses the Old and New Town, offering views of Prague Castle, the National Theatre, the Dancing House, and Vyšehrad. The Baroque era will come to life in the celebrations of St John of Nepomuk, the best-known Czech saint and patron of all river folk. The annual festivities include a mass in the St Vitus’cathedral, a ceremonial procession crossing Charles Bridge, a dragon boat regatta, a Baroque-style fireworks show, and a concert. Free admission. A lively blend of theatre, comedy, music, and dance, all in English. Over the nine days of the festival, audiences have a chance to see more than a hundred performers from around the world, bringing traditional as well as experimental shows, to be enjoyed in venues throughout the charming Lesser Town district. The velvety voice of Bryan Ferry, whose music evokes the worlds of romance and refinement, finds an appropriately chic venue in Forum Karlín. The singer, who rose to fame during his early Roxy Music days, is now largely known for inspired covers of Bob Dylan songs, as well as his timeless hits Slave to Love, Don't Stop the Dance, and Kiss and Tell. Arturo Sandoval, Cuban trumpeter, pianist, composer, and ten-time Grammy Award winner, is coming to Prague to perform a programme featuring such gems as Summertime or the Cuban Overture by George Gershwin. Prague Symphony Orchestra accompanies. The Prague Quadriennal is the largest international festival covering the latest trends in theatre, set design, and theatrical architecture. The 14th edition is divided into three sections titled Imagination, Transformations, and Memory. Over 70 countries and regions will present their theatrical best in a variety of exhibits, live performances, and site-specific projects in this 11-day event held on the Prague Exhibition Grounds. The nine-member American metal band, famous among other things for their eccentric costumes and masks as well as their ten Grammy nominations and sixty platinum and gold records, will set the O2 Arena a-tremble.